The toughest jobs need the toughest tools. The Wilton BASH Unbreakable Sledge Hammer is the toughest sledge ever built. With molten steel bar reinforcement and a locking steel plate holding the head to the handle, the BASH will hold up when you need it most. Tested to 25,000 overstrikes, the BASH puts traditional wood and fiberglass hammers to shame. Conveniently designed to stand upright for easy reach. The toughest jobs need the toughest tools. 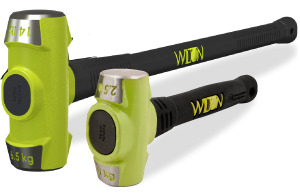 The Wilton BASH Unbreakable Sledge Hammer is the toughest sledge ever built. With molten steel bars reinforcing the handle, and a locking steel plate holding the head to that handle, the BASH will hold up when you need it most. 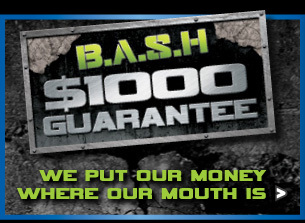 Tested to 25,000 overstrikes, the BASH puts traditional wood and fiberglass hammers to shame!